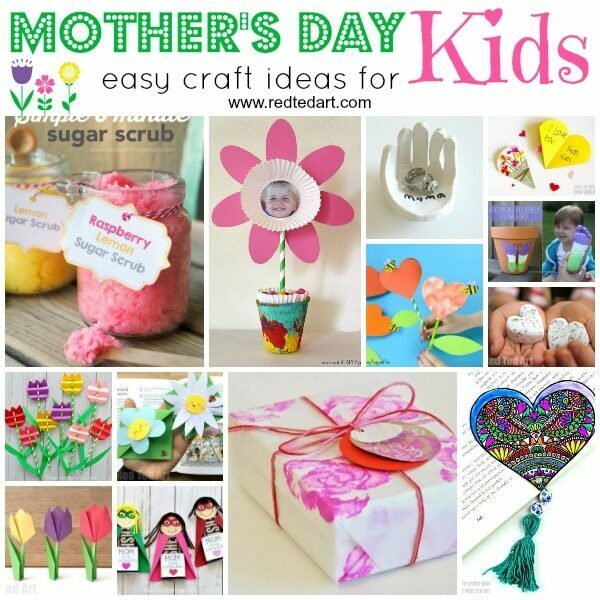 Yes, UK Mother’s Day is just around the corner and we have some great last minute Mother’s Day Gifts for Kids to make. 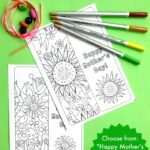 Let’s keep it simple with these oh so cute Printable Mother’s Day Bookmarks – we have two sets to choose from… the Printable Flower Bookmarks or today’s Printable Cupcake Bookmarks. So Kawaii and utterly adorable!!! 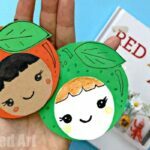 We love DIY Bookmarks here on Red Ted Art… and have 100s of Corner Bookmarks and other Creative DIY Bookmarks Ideas for you to explore. Now and again, we find a handy printable, just the ticket to get things done! 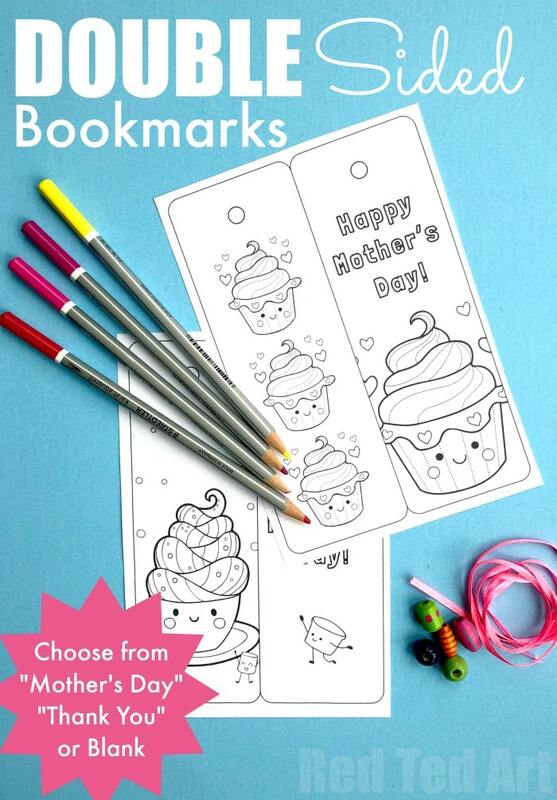 So though these Cupcake Bookmarks are for Mother’s Day, there are actually 3 sets to choose from – Happy Mother’s Day, Thank You and a “blank” version for your own personal messages. 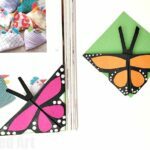 Making these suitable for Teacher Appreciation Day too, as well as Birthday’s and other occasions! This particular Free Printable is a collaboration with Mrs Mactivity– a fantastic printables resource site for you to discover and explore (in fact, you may rather like their printable flower bouquets– suitable for Birthdays, Mother’s Day, Teachers and Valentines! So cute!). 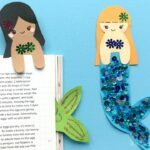 We actually have a cupcake bookmark and a hot chocolate or coffee bookmark designs for you today! 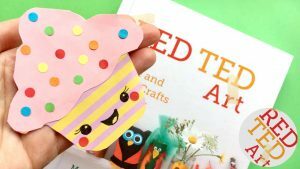 Cupcake & Coffee Bookmark Printables! 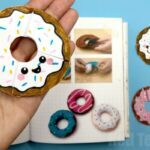 And here is your Cupcake Bookmark Printable – enjoy! 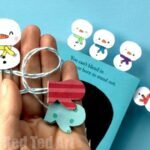 You will find a total of 6 double sided bookmarks to print and colour – 3 sets of a kawaii cupcake and kawaii coffee/ hot chocolate bookmark, with Mother’s Day, Thank you and “blank” messages. Print and colour your message of preference. 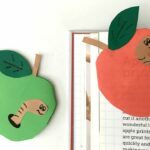 These Printable Cupcake Bookmarks are really easy to make!!! Print out your free bookmark templates. Colour to your heart’s content. 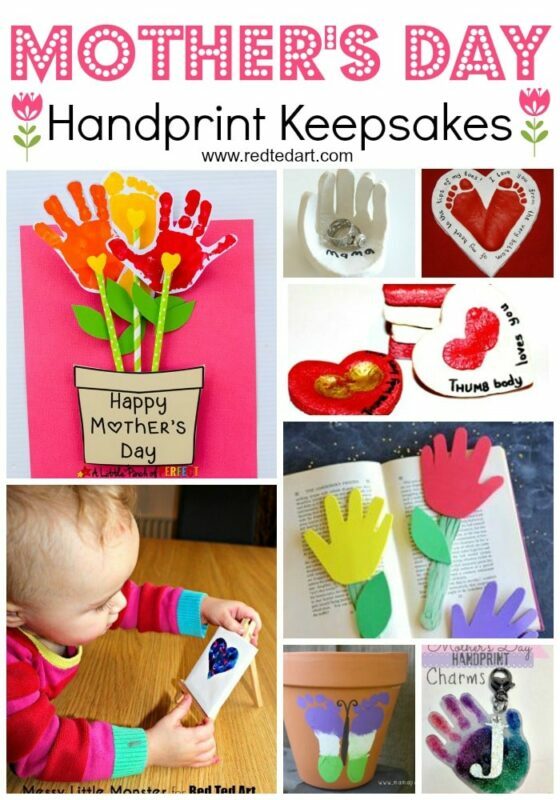 You can fold your bookmark like a card and use the space “inside” for a secret message to mum……. Hole punch the hole in the top of your bookmark. Thread through some ribbons or wool (again, a nice woolly tassle would look nice! Learn how to make a tassle here or why not add some colourful beads?). And your lovely Kawaii Cupcake & Coffee Cup Bookmarks are finished! 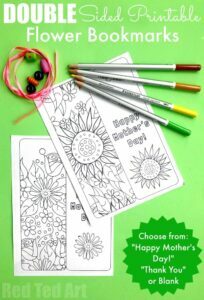 Do check out the Flower Bookmark Printables too! 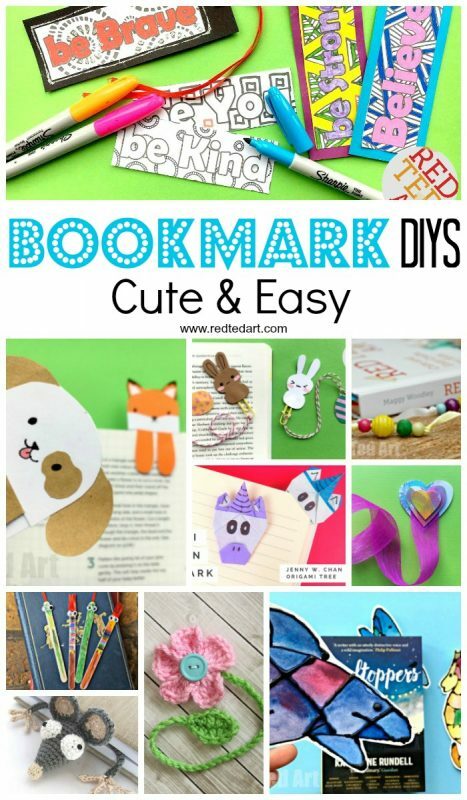 We also have a fabulous Cupcake Corner Bookmark for you to check out!